Virginia's southern gateway to the Shenandoah Valley. 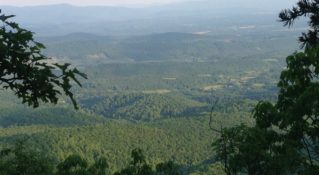 Rockbridge County is conveniently located at the junction of I-81 and I-64 W, with fast and easy access to 64,000 acres of National Forest lands and two rivers where outdoor enthusiasts of all ages and skill levels can hike, bike, fish, climb and camp. Visitors to the area enjoy access to the Blue Ridge Parkway and Appalachian Trail, along with the cultural amenities and historic sites in the college towns of Lexington and Buena Vista.